London Underground To Use Travel Ambassadors To "Beat Strike"
Rachel Holdsworth London Underground To Use Travel Ambassadors To "Beat Strike"
Today, London Underground has demonstrated precisely how not to behave while trying to avert strikes: announce their own private army of strike breakers. The RMT has called two 48 hour strikes in February in response to 750 job cuts and ticket office closures (the TSSA is expected to follow suit). The union and LU have been in talks at ACAS to try and find some common ground, but today came a Transport for London press release announcing that TfL's Travel Ambassadors – originally used during the Olympics to help people find their way around – will "help Londoners beat totally unnecessary industrial action". Firstly: we think TfL's being a bit misleading here. All the Ambassadors will be able to do is give information on alternative methods of transport; there's 1,000 of them, they're not going to be able to keep the network running. Information will be useful, but even if stations "remain open for customers" we still ain't going to be able to use them. Secondly: this rather assumes the Ambassadors don't mind being used as, essentially, strike breakers. (Or, if you prefer, scabs.) How many of these Ambassadors are union members? How many will actually turn out? Will union members who are also Ambassadors be penalised by LU if they don't "volunteer" (strange choice of words from TfL; if the Ambassadors turn out will they get paid their normal wage?). Could this politicised use of Ambassadors even put people off volunteering? Thirdly: if you're in the middle of negotiations to solve a dispute, surely declaring you've found a way around a strike is just going to piss off the union you're attempting to talk to? Londoners would like this resolved, thanks, not each side to dig in further. London Underground says there will be no compulsory redundancies and that there'll be a job for all staff who are "prepared to be flexible". 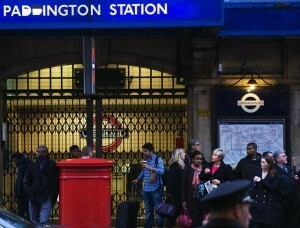 The RMT has previously said staff are being made to reapply for their own jobs. We can't help wondering if some of the "flexibility" required is code for "alright, who's doing the midnight-8am shift Friday and Saturday nights at Piccadilly Circus? "; these are significant changes to people's jobs. TfL also insists that closing ticket offices will make staff more available to passengers, but questions have been asked this week whether previous job cuts led to disabled Londoners being unable to use step-free access because of staff shortages. Strikes are currently set for between between 12pm on 4 February to 11.59am on 6 February, and the same hours on 11-13 February. The RMT has also called two 48 hour strikes on the DLR over pay and conditions, for between 04.30 on 29 January to 04.29 on 31 January, and 12pm on 4 February to 11.59am on 6 February, which coincides with the first tube strike.